SEATTLE – Brandon Wellington has a bet with Ben Burr-Kirven. That’s all he’s willing to say. After the conclusion of Washington’s second of 15 spring practices, the senior linebacker stood there, wearing a tattered white jersey and a wry smile, protecting his precious secret. He has an awful lot to live up to. In his senior season in 2018, Burr-Kirven was named the Pac-12 Defensive Player of the Year and led the UW defense with 176 tackles – more than 100 more than the next-best Husky. Wellington, meanwhile, missed the first four games of the 2018 season with a torn ACL and has contributed 50 total tackles in his first three seasons at UW. Now, it’s his turn to take the reins in the middle of Washington’s defense. But is it really fair to hold Wellington – or anybody, for that matter – to Burr-Kirven’s lofty statistical standard? OK, so back to the bet. What are we talking about here – 100 tackles, 150 or 200? But matching Burr-Kirven’s work ethic, by itself, won’t guarantee similar success on Saturdays. After all, the Kent, Washington, native has started just two games in his UW career and has yet to produce more than 28 tackles in a season. Still, Wellington’s coaches are convinced the former Eastside Catholic standout can bridge the gap. “I think they’re similar,” co-defensive coordinator Pete Kwiatkowski said. “I think Ben, obviously, was able to process and play faster with his reactions. Brandon has gotten a lot better at that. He isn’t the only one. A torn ACL suffered late in the 2017 season made Wellington appreciate what he was missing. The Washington defense missed him, too. 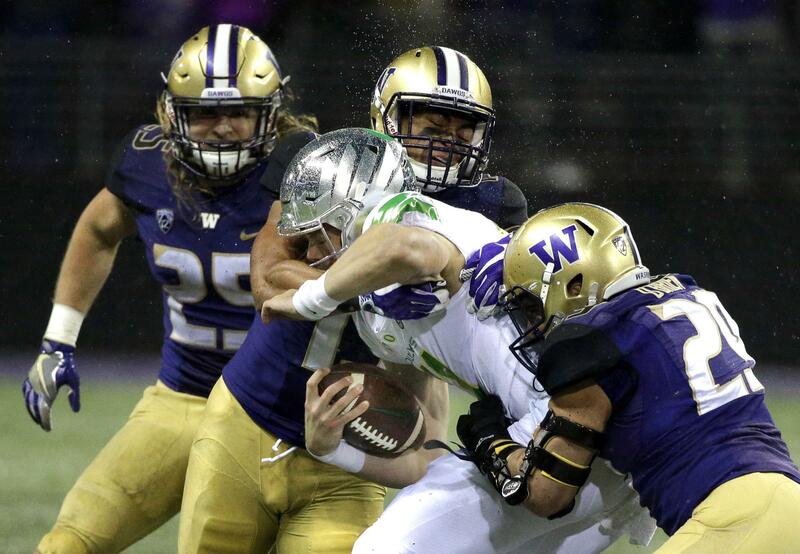 The 6-foot, 223-pound linebacker produced the best results of his career upon his return, finishing with eight tackles in the Apple Cup and seven more tackles and a tackle for loss in the Rose Bowl. The UW defense – which will roll out at least eight new starters against Eastern Washington on Aug. 31 – is counting on it. A unit filled with first-year starters will undoubtedly benefit from Wellington’s experience. “I’m not really a vocal leader,” Wellington said. “I like to lead by example and just show people that whatever you’re going through, it’s going to be hard. “I’m not saying your trials and tribulations are not hard. But there’s somebody out there that’s always going through something that’s worse, and you can’t let that hold you back. So when you come out here on the field or in the weight room or in the film room, you’ve just got to lock in and be here now and really tune into that and outwork everything and use that anger to drive you. Now, here he is – faster, stronger, better. Of course, that doesn’t mean he’ll be another Burr-Kirven. But can he be something close? “His arrow was pointing up at the end of last year,” defensive coordinator Jimmy Lake said. “He really started playing some big-time football for us. Now, with him being the senior, replacing a guy like Ben Burr-Kirven who played a ton of football for us, it’s nice to have a big-time athlete like that that knows our defense, has great leadership skills and is so athletic. Wellington is betting on it. Published: April 6, 2019, 5:10 p.m. Updated: April 6, 2019, 10:46 p.m.